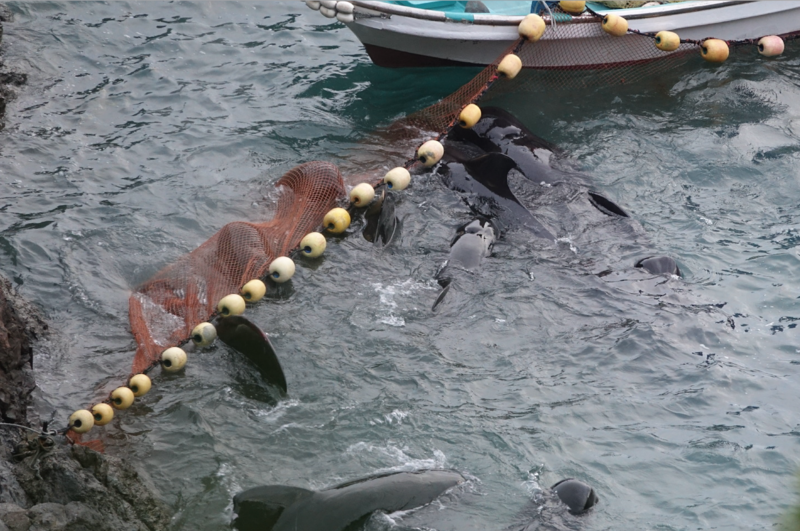 Taiji, Japan, 9/3/17: By 2:30 p.m. local time – seven hours after a pod of short-finned pilot whales had been found and rounded up by Taiji’s dolphin hunters – the cove was eerily quiet. 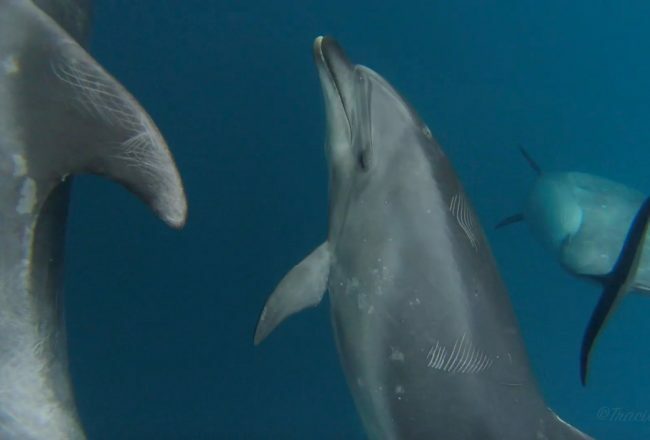 The inhales and exhales of the 44 wild dolphins trapped in shallow waters permeated the heat and humidity of the day, one which started out like any other for the unsuspecting mammals. 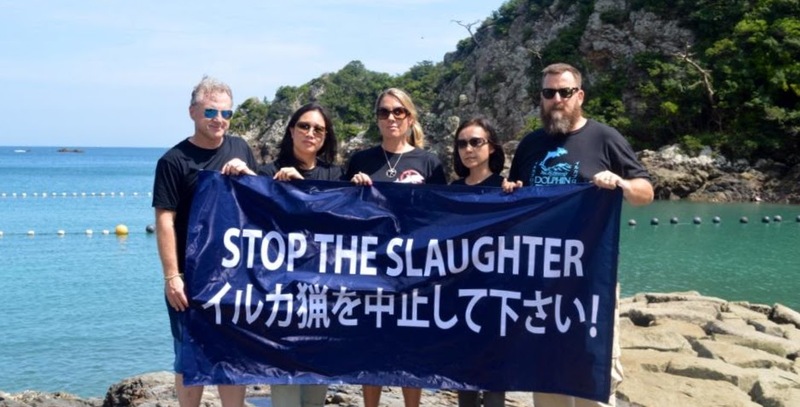 This would mark day three of the 2017/18 dolphin drive hunts of Taiji Japan, where hunters are legally allowed to capture 1940 animals across nine species between the months of September and March. 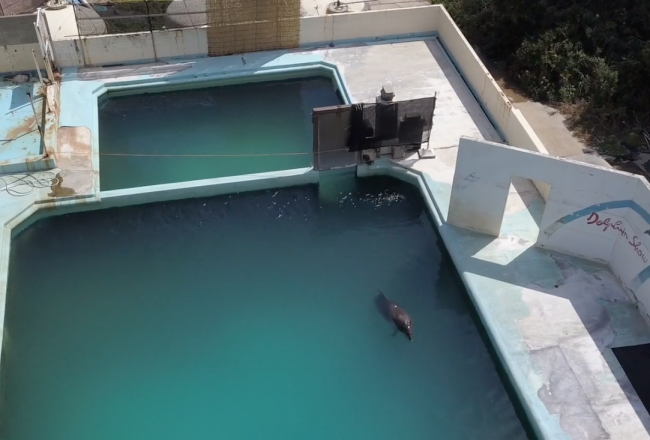 Many will be slaughtered while others will be committed to “life” in captivity, kept in tiny pens before being shipped to aquariums and marine parks across the world. At 5:15 a.m. local time, 12 boats left in search of dolphins, and by 7:30 a.m., hunters had found their prey. 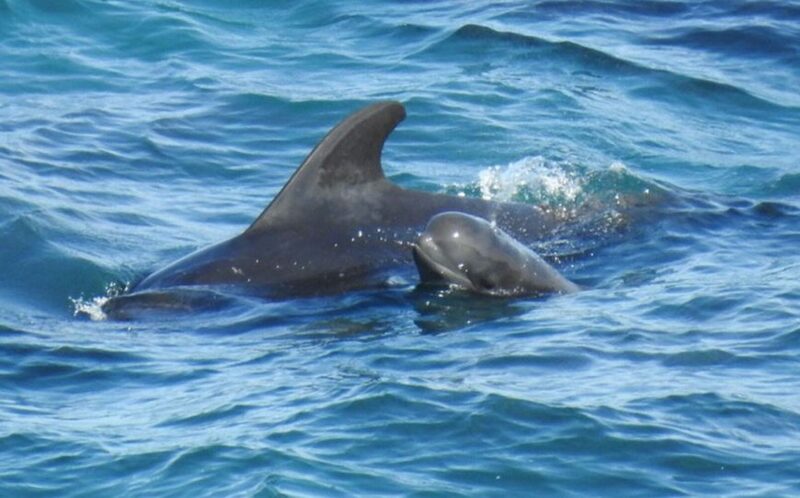 While Dolphin Project Cove Monitors were initially unable to identify the species being pursued, the telltale signs of a drive were well underway, with black smoke spewing from the hunting boats. For hour after hour the dolphins were relentlessly chased. In those long hours of pursuit, while the dolphins were driven towards the cove, the brutal reality of the hunts was driven home. 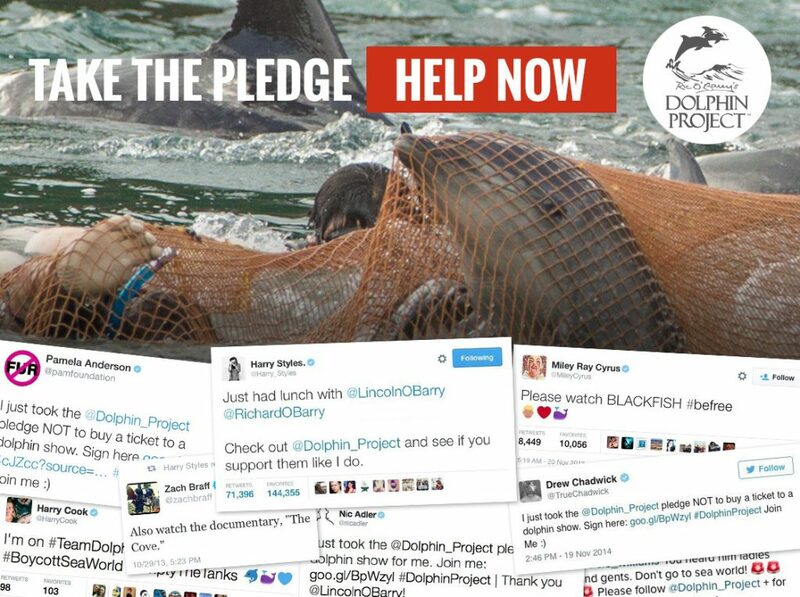 No matter the species, the hunts are torture for dolphins. Kept in a continuous state of “fight or flight,” vast amounts of energy are mobilized as the pod attempts to evade the hunters. 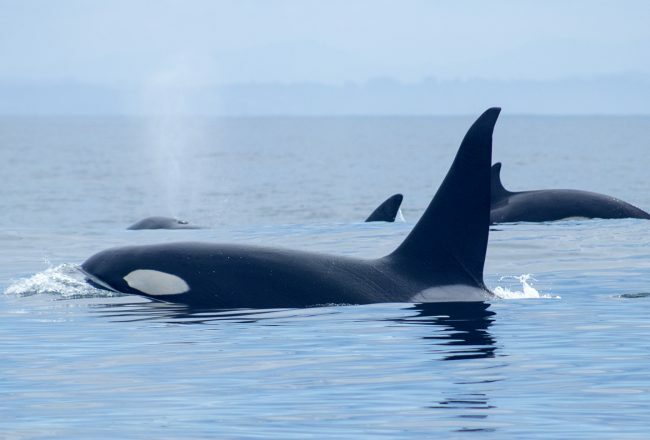 And for seven hours, the pod fought for their lives, struggling against the deafening sounds of boat engines, of poles being banged (designed to confuse the dolphins’ sensitive navigation systems) and the sheer willpower of the hunters themselves. By early afternoon, it became clear the dolphins were losing the battle. 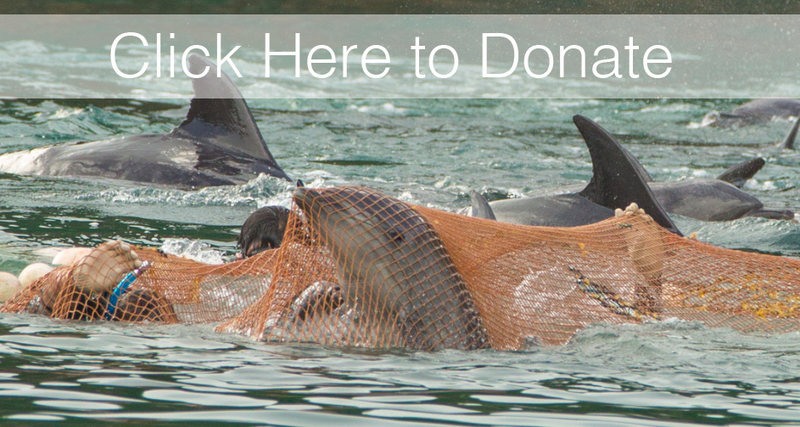 Dolphin Project will be back on the ground in a few hours, continuing to report live from Taiji. Follow us on Facebook, Twitter and Instagram for updates. 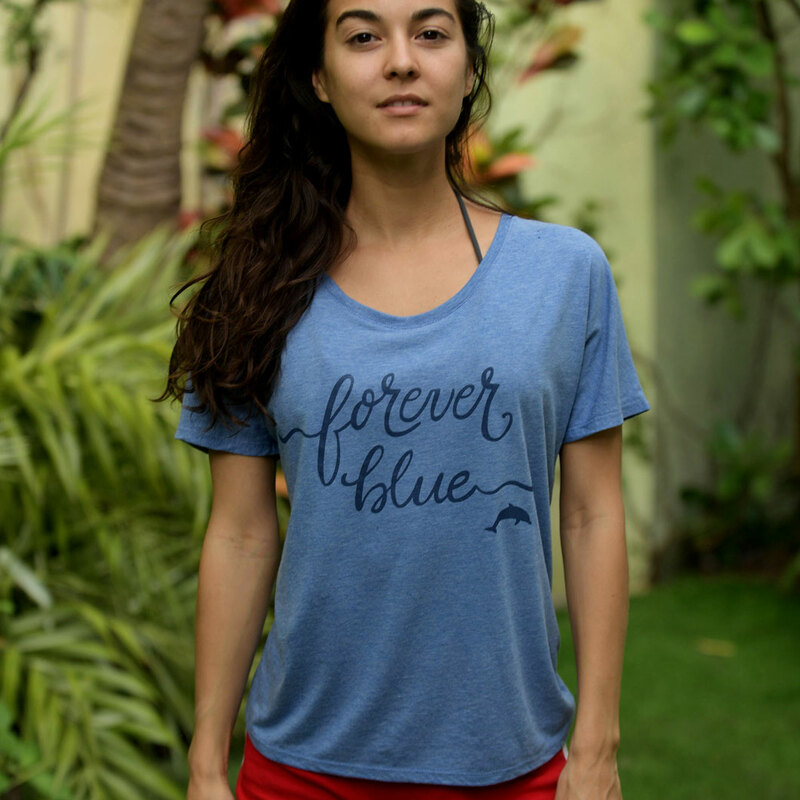 Interested in becoming a volunteer Dolphin Project Cove Monitor?